The colors around your home can affect your psychology more than you realize. Different paint and accent colors are better suited to different rooms in the house, although you want to be careful not to overuse certain tones. If you’re looking for home decor tips, the following infographic from HouseHunt is a great guide on how to paint a room to boost mood and enhance each individual room. Should you buy or should you rent your home? The following infographic from Elika Real Estate has statistics on real estate and mortgage trends from 2010 – 2013. It is a great way to see the pros and cons of buying vs renting your home, and will hopefully help you to make a well informed decision. 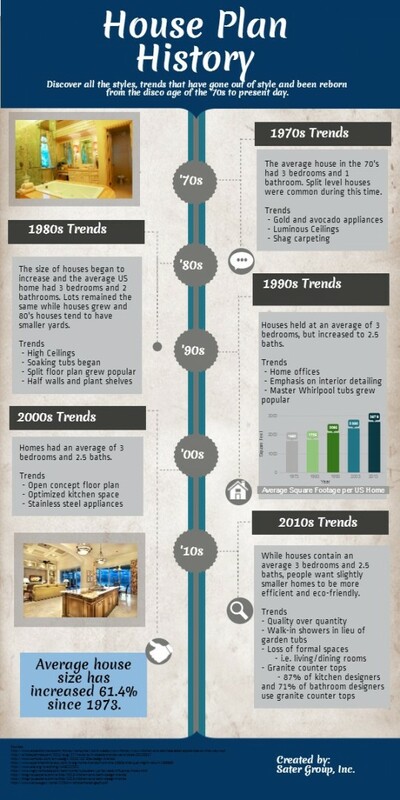 The following infographic from Sater Design goes over some of the hottest housing trends from the past five decades. Which trends to you think are worth a repeat? 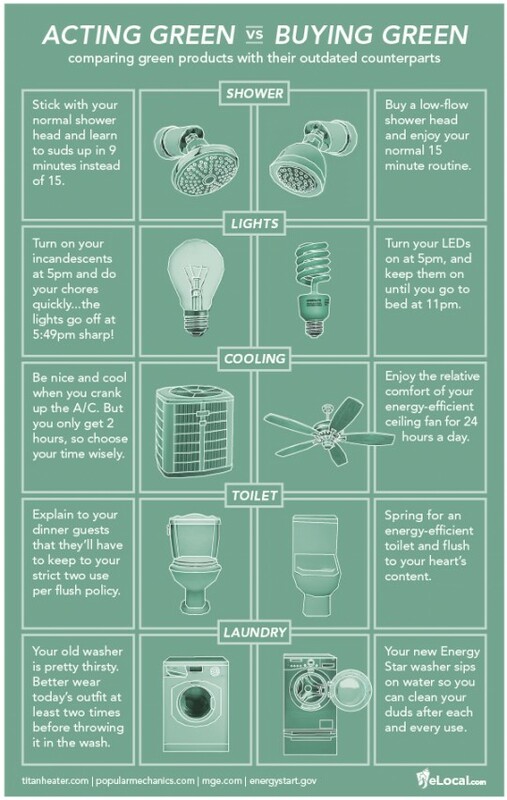 With more people than ever looking for ways to 'go green' this infographic lists 50 simple ways that you and your home help the environment. Discover the differences of acting green vs. buying green. Is it more important to buy green appliances or act green? Take a look at this infographic from eLocal and decide for yourself.